Every era of music had that one big selling factor that made music successful. During the 80’s we craved chaos and mayhem. During the ’70s we begged for flashing lights and glam, but during the ’50s and early ’60s, crowds wanted polished and professional. Everything from a predictable and smooth set list, a polished sound, and a snappy name combined with suit and tie attire was a must for any successful band. Twin Spin recalls the importance of these seemingly small details and what a large impact they can have on a crowd. 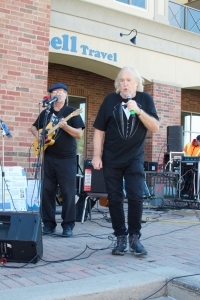 Doc Johnson (Guitar/Harmonica/Vocals) and Phil Scott (Drums/Vocals) formed the band Twin Spin with the elements of a pop band from that era in mind. They have geared their sound towards the type of audiences that lend a listening ear generally found at charity or concert style events, and take great pride in their polished arrangements. To top off their commitment to professionalism they even come sharply dressed in tuxedoes. Both members have been working musicians for decades and show no sign of stopping anytime soon. Although, having paid their dues playing six nights a week and being on the road for years they have decided it’s time to aim towards something new and adapt to a new setting of one-nighters, fundraisers and concert style gigs. “In the ’70s both of us were playing in different bar bands on the road for a living. We were thinking it might be nice to stay out of the bars. We kinda figured we’ve already done that; I figure we are going forward instead of backward,” Scott said. 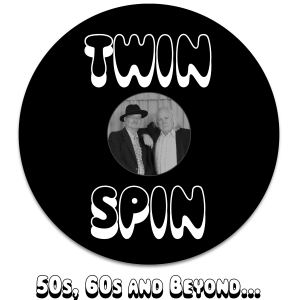 Twin Spin realizes that in order to provide a proper experience for an audience that is there strictly for the music, it’s going to take more than a snappy name and fancy outfits to satisfy the crowd. The band spends most of the winter months working hard at rehearsal and take great pride in the attention to detail they put into their melodies and well thought out arrangements. Now that Scott and Johnson are free from the restraints of life on the road, they are able to put in the time to fully fine-tune the experience that Twin Spin delivers. I was initially shocked when they said they spend four nights a week rehearsing but once explained I realized the level of commitment these men really put into their act. “What we do is when we get together for practice, a lot of times we won’t even touch our instruments. We decide on a song and just talk about arranging a song for sometimes 2 hours before we even touch our instruments. We will sit here and talk for the whole practice about how we want to arrange a song or put two songs together, and we will spend our time just doing that,” Johnson explained. The ’50s and early ’60s were wrought with one hit wonders and record labels couldn’t distribute the next 45 fast enough. So how on earth would a band sift through all those possibilities? Luckily both members recall which songs stood out. Johnson even claims his best attribute as a musician is his range, referring to his ability to recall a variety of songs from a variety of time frames. There haven’t been many bands that I’ve talked to that put this level of commitment and thought into their performance. Twin Spin really takes the time and care it takes to provide a top-notch experience for the audiences that comes out to enjoy their music. 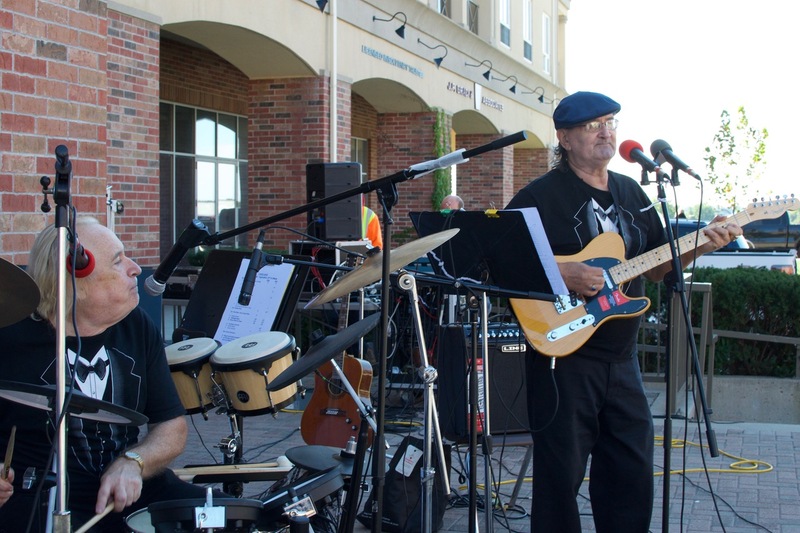 Check out the band on their Facebook and Twitter pages for schedules and bookings.